Esther Kinsky grew up at the River Rhine and lived in London for twelve years. She is the author of three volumes of poetry and two novels (SUMMER RESORT and BANATSKO) and has translated many notable English (John Clare, Henry David Thoreau, Lewis Grassic Gibbon) and Polish (Miron Bialoszewski, Zygmunt Haupt, Ida Fink, Olga Tokarczuk) authors into German. RIVER won the Adelbert von Chamisso Prize 2016, the Franz Hessel Prize 2014, the Kranichsteiner Literature Prize 2015 and the SWR Prize for the best fiction book 2015, and was longlisted for the German Book Prize 2014. 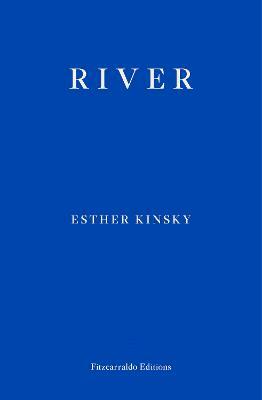 Esther Kinsky's 'River' has an addictive narrative style that draws the reader along many river banks, returning always to the bleakness of the river and the narrator's life on the outer edges of London. Sometimes there is an almost dream-like quality about the random recollections and the mystery of why the narrator is there in her flat with the unpacked boxes keeps the reader glued to the story.